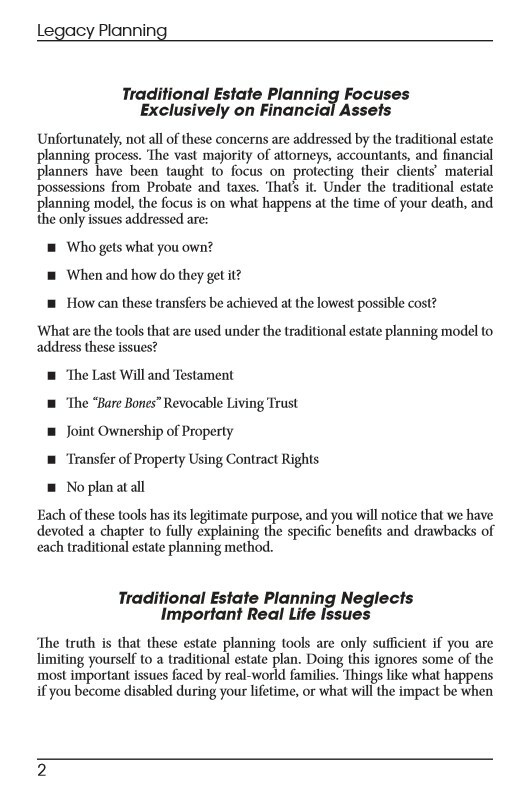 For far too long, estate planning has focused only on the practicalities of transferring assets at the end of life. 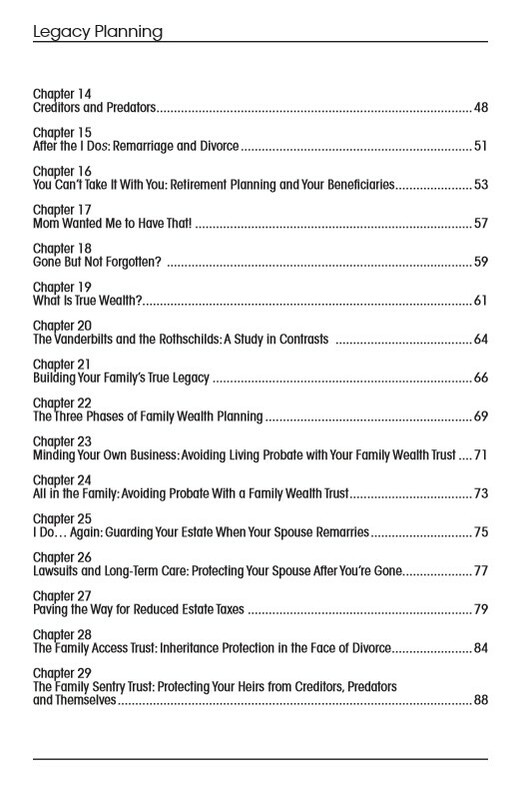 Your estate plan should be more than just a list of who inherits, and your plans should go beyond just facilitating the transfer of assets at the lowest cost possible. 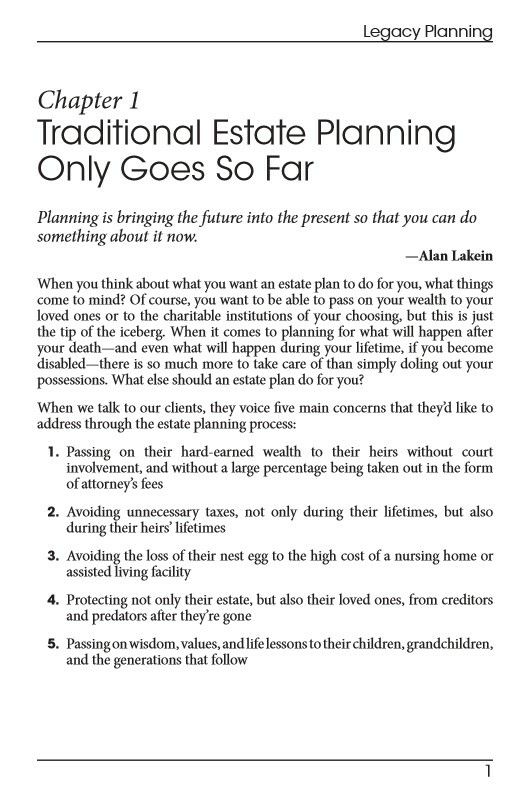 You deserve to have full control over the legacy that you leave behind, and a more holistic approach to estate planning is essential in order to help make that happen. 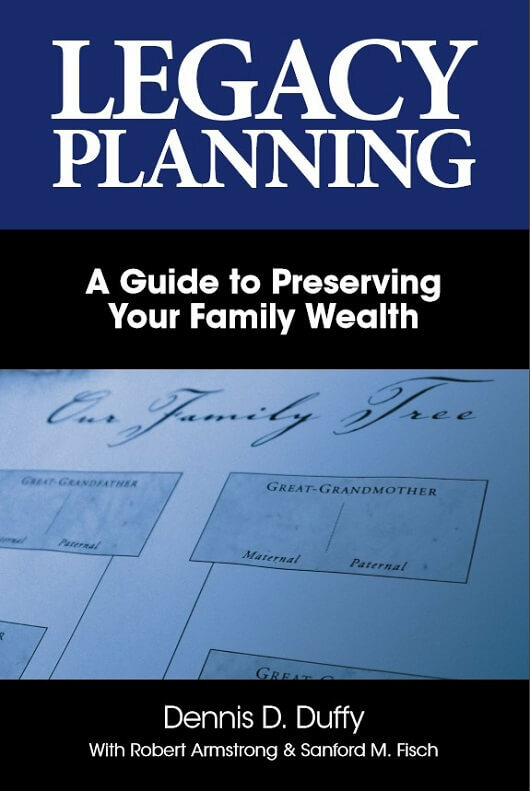 How to protect the inheritance of children in blended families and how to prevent children from losing an inheritance due to a spouse’s remarriage. How to select guardians and provide for your minor children while avoiding the mistakes made by many parents in making provisions for their children’s care. How to provide care for a loved one with a disability while still protecting the disabled person’s access to important means-tested government benefits. 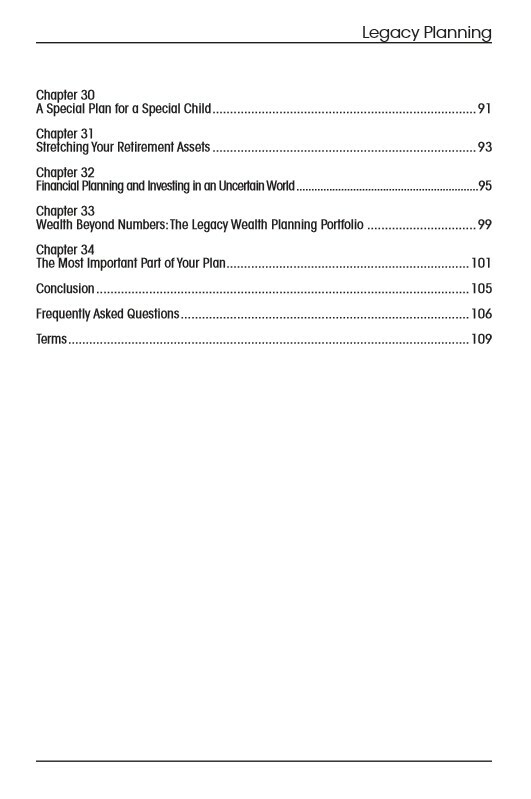 How to protect assets from being lost due to nursing home expenditures, creditor claims, divorce, inexperienced heirs, and other threats. How to facilitate the distribution of all of your real and personal property in a timely and cost-effective way. 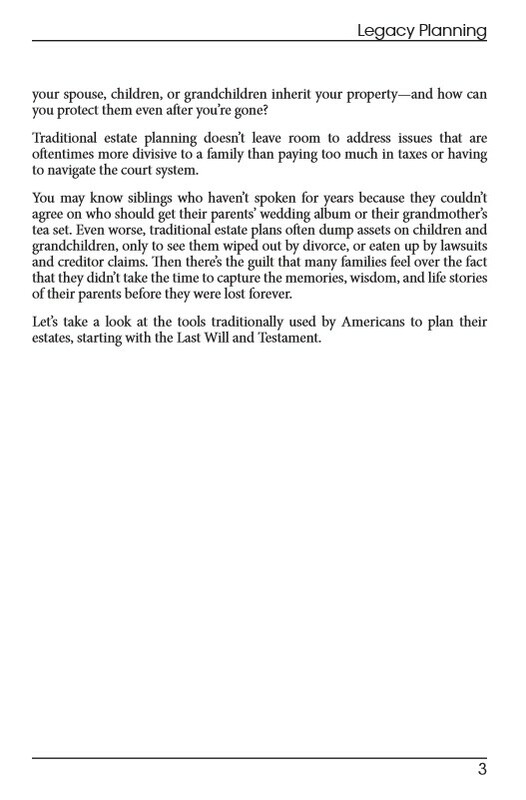 How to preserve your family history and share your memories with future generations. 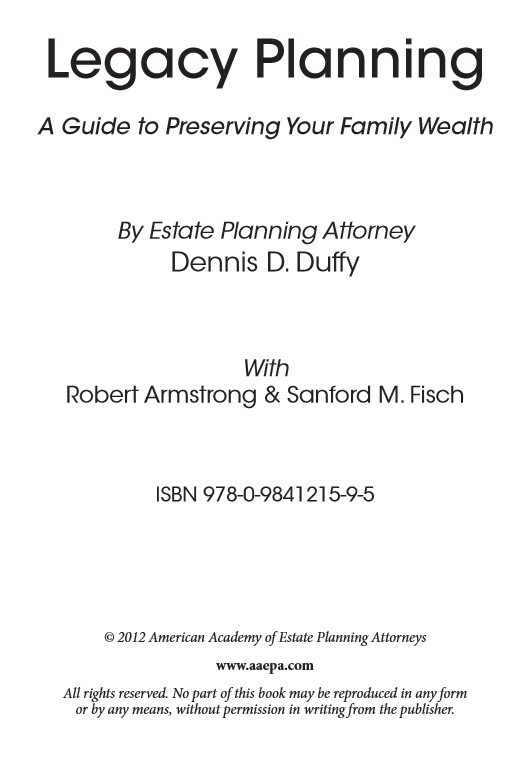 Legacy Planning: A Guide to Preserving your Family Wealth will offer you important details about these and other estate planning issues affecting families today. 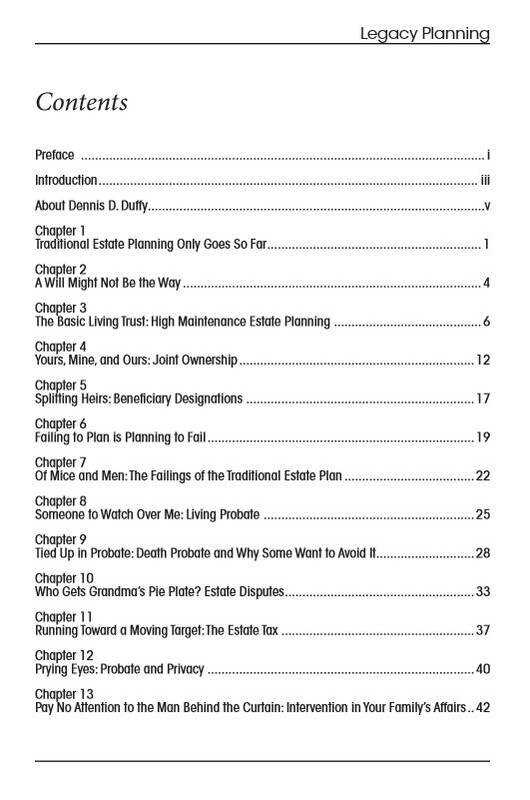 With your copy, you will find out the keys to holistic estate planning and arm yourself with the tools and knowledge that you need to take true control of your legacy. 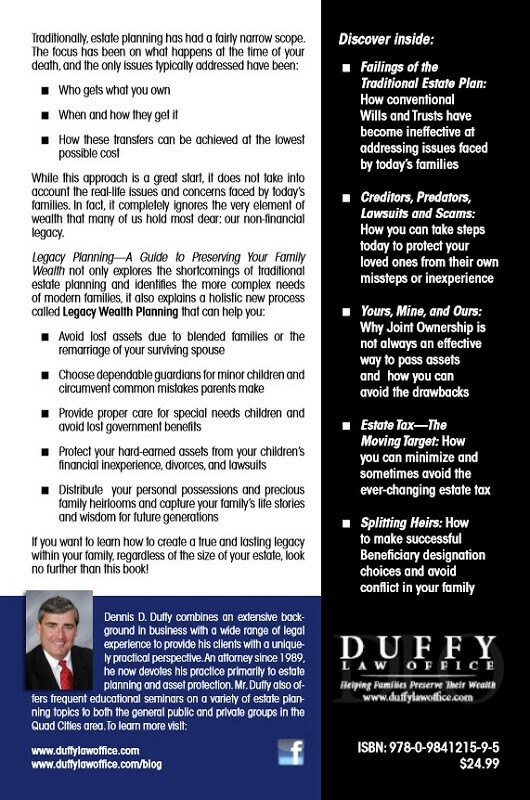 To order Legacy Planning: A Guide to Preserving your Family Wealth, call Duffy Law Office, PLLC at 563-445-7400 to place your order via phone and pay by credit card. You may also order by using our online contact form. 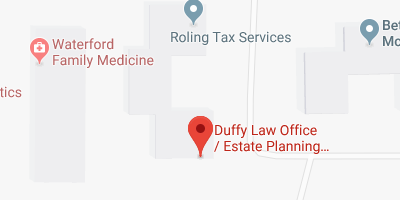 Include the book title that you wish to order within the body of your message and print a copy of your submission so you can send it along with a check for $20 to Duffy Law Office, PLLC, Attn: Book Orders, 1840 E. 54th Street, Davenport, Iowa 52807. Please allow three to five weeks for delivery.